Three plus years can be a lifetime in the rapidly changing world of dance music, but the time since Maya Jane Coles’ previous Mobilee release, 2011’s ‘Beat Faster’, has seen the UK DJ/producer accumulate accolades from all corners of the dance music sphere, from magazine covers and reader poll placement to key bookings and regular play by her house music peers. 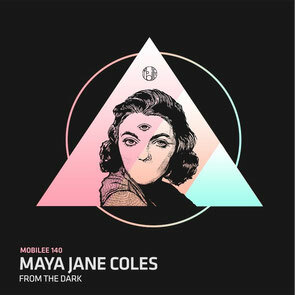 Maya Jane Coles: “I’m excited to be releasing on Mobilee again. It was one of the labels I looked up to when I first started making electronic music and I still remember how chuffed I was when Anja agreed to put out my first EP on the label. It was about time I did another one and it feels just as good :)." Maya returns to Mobilee with three tracks, one that has only become more potent with practice on releases by 1trax, Jackathon Jams, 20:20 Vision and her own I/AM/ME label. ‘From The Dark’ picks up where ‘Beat Faster’ left off, with the addition vocalist Moggli only adding more spice and bubble to the tech house stew. ‘From The Dark’ is out 21 November on Mobilee Records.